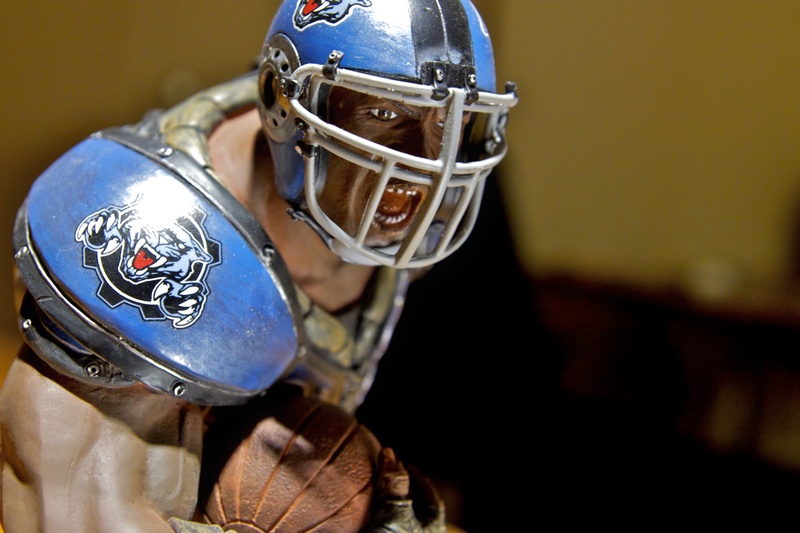 The Cole Train Thrashball statue from Epic Games is made out of pure resin and hubris. Gears of War 3 is game where you shoot aliens. The able-bodied men in the company of Marcus Fenix are the kind of rough and tumble guys you want on your side in a fight. They are also the kind of guys that you want memorialized in a resin statue as they strike a ridiculous pose. 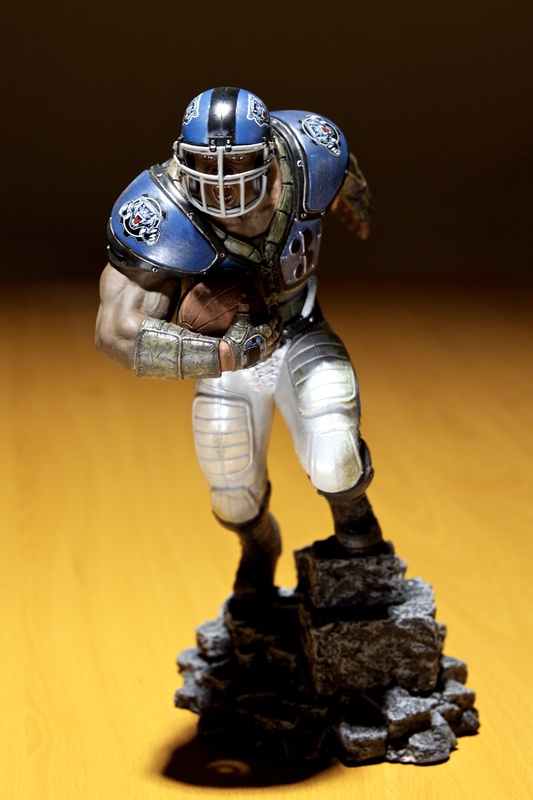 Oh, and make sure that the pose cemented in sculpture isn't depicted in the badass business of killing bugs, but instead holding an anachronstic spherical ball wearing pads suited to a football player from the Twentieth century. 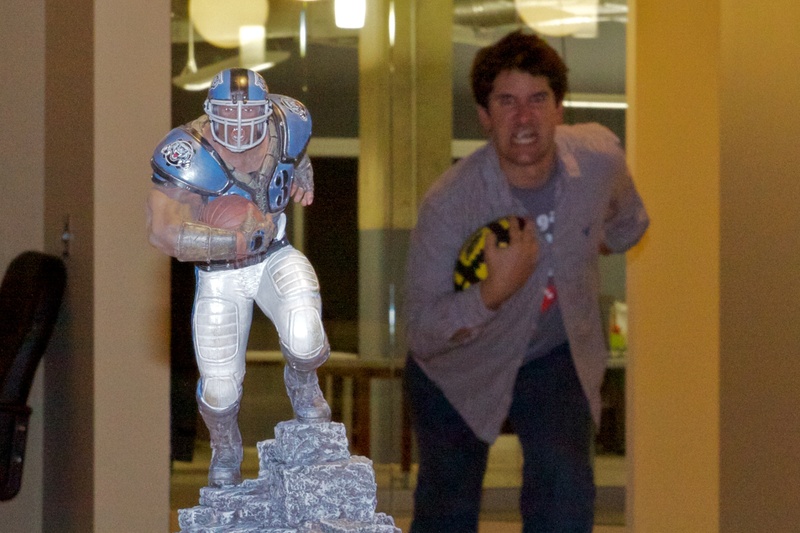 Behold, the Thrashball Cole Resin Statue. 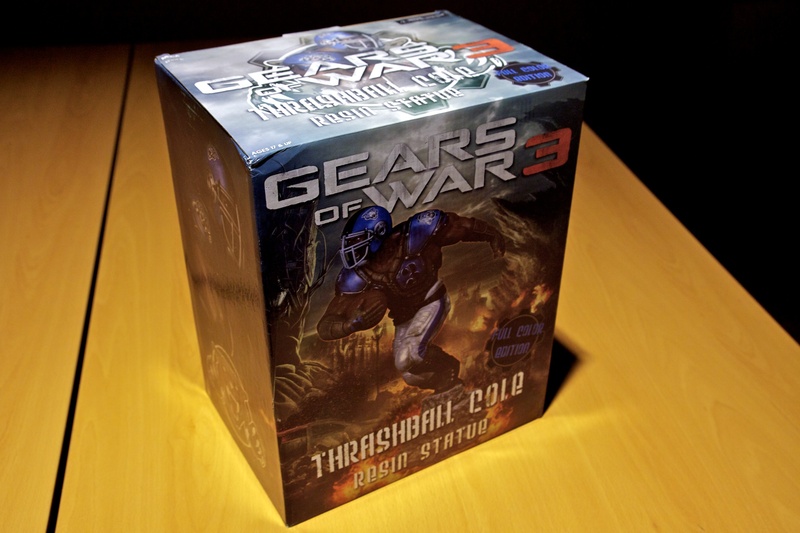 To be clear, I know that Thrashball is a sport in the Gears of War universe and that Cole Train has a moment playing the sport in the latest game. Besides that, all we really know about the statue is that it's made of resin and it's damn heavy, weighing in 6.4 pounds. It must be made from a different kind of resin than I'm thinking of. This beautiful statue will set you back 99 bucks from Amazon. Coupled with the Marcus statue that came with the Gears of War 3 Epic edition, you could have a neat little diorama going on. Now all we need is a resin statue of Ice-T's character Griffin and we'd have a trifecta of awesome. Never mind, I shouldn't give them any ideas.